With the snow and ice that has hit the St. Louis area in the last week, I have forced myself to get on the treadmill at Golds Gym twice and will possibly be going tonight (because it is supposed to start snowing again during the day and I just didn’t feel like running in the cold rain this morning). I have in the past (and surely will in the future) run through the snow but am wanting to get in some faster Tempo Runs (to test my fitness and also just need some fast workouts) and the snow (with patches of ice) is not the surface for your fastest workouts. Running in snow can be a great strength builder (and elite ultrarunner Geoff Roes is a great believer in its strength building potential no matter how slow the snow makes you) but it wasn’t what I had in my plan for my training right now. So… I went to the gym last Saturday and tried to get in an 8 – 9 mile Tempo run on the treadmill and didn’t really even come close (stopped at 5 miles) and once again felt like it was somewhat dangerous. I want to attempt to detail here why I think I have these issues… or what is..
My problem with the treadmill. Let me start off by writing that in theory there should be nothing wrong with a treadmill and it could (and for many does) act as a viable alternative (certainly shouldn’t be one’s main form of running if one is into competing in road or trail races) to running outside if conditions warrant. There are some theoretical advantages to the treadmill in that it allows one to dial in a pace and attempt to stick with it. One doesn’t have to worry about the wind or other forces interfering with a workout. I understand all of these potential advantages and many elites do sparingly use the treadmill as an adjunct to their training. I wish that I could run on it easier when I want/need to. There was a time a few years ago when I was able to run on the treadmill more and I did. Again I certainly never used it as my main form of training, but when the conditions were particularly bad (whether it be ice, extreme cold, extreme heat etc.) I would run on the treadmill at the gym and I seemed to be ok and could get in decent (and sometimes long.. 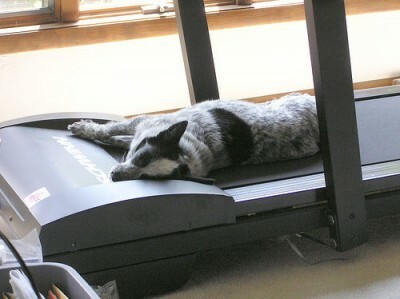 I have run a 22 miler on the treadmill.. good grief that was not a lot of fun!) workouts. The thing is though.. I was also getting hurt every 3 months or so. I am not saying that my infrequent treadmill use was the main/only contributing factor (my shoes were the main contributing factor.. but that topic is for another post) but I will detail here how the cushioning and bounce that treadmills give you isn’t a positive but a negative. They brought in a new treadmill to my gym about a year ago that has a decline feature. I don’t use this feature (although I know some trail runners do to simulate the downhills) but I have found that it is a very well made treadmill. It is quite expensive (~$4,000) but does have the most stable of boards that I have run on. In other words, there is less cushioning and bounce. There are only a few of these new types of treadmills at the gym (I forget the brand but most of the time there are runners using them) and the dozen or so other ones have a lot of bounce! To many this bounce that the board gives you is considered a nice thing (and a reason why treadmills are supposedly “easier” on you than the road or trails) but quite the opposite is true. There is no naturally occuring surface to run on that bounces. Yes there are surfaces like mud and snow that you sink into, but what natural surface takes the energy of your foot plant and pushes it back to you (especially in a very exaggerated way like a treadmill with a lot of bounce)? None that I can think of. So what is the problem with bounce and running on a surface that springs you back up every stride? It comes down mostly to your legs inability to accurately react to the surface. Your feet, your calves, your achilles, your thighs, your hips etc. want to be able to land, adjust to the surface, push off on their own and get to the next stride. They want a stable surface to land on so that they can get accurate feedback from the ground and move to the next stride. If the board is dipping every time you hit it and then whipping you back up.. there is so much information to process every stride it is very difficult to maintain a good stride (which is something I will write about in a future post) and then you are really just working to maintain your balance and keep moving forward. You are especially working your calves in a way that they are not used to being worked and aren’t particularly well designed for. There shouldn’t have to be constant adjustments every millisecond of your stride. You probably won’t notice it but if there is any bounce at all in your treadmill you will be constantly adjusting. So how should you want to be running? You should lift your foot, stride up and down, land and adjust to the ground through accurate proprieception… once you have adjusted (since the ground isn’t moving or bouncing) you are able to lift off efficiently and effectively without over taxing your stabilizing muscles. There is adjustment on every foot plant (more or less depending on the surface) but that adjustment should be allowed to finish before lifting off to the next stride! With a treadmill that has bounce there is no finish to the adjustment.. there is only the time your leg gets to be in the air! If you are a perceptive reader, you may be thinking that there is a correlation to my running barefoot and there is. The better we can react to the ground.. and not have to react to something else like a bouncy treadmill, air pockets in your shoes or some artificial posting the easier time we will have in staying stable during our stride. Some shoes have 8 different “enhancements” to make things “easier and more comfortable” for you and to try and fix a stride issue that you have but what they are doing is make it so much harder for you to react to the ground because you are having to react to your shoe. But this minimal approach to running is the subject for many future posts and I will never try and get anyone to change to anything I just plan on presenting arguments for less (less bounce and less shoe) and allow you to be the judge. So the moral of the past few paragraphs is try to run on the most stable treadmill you can. The more rock solid and the less bounce.. the easier it will be for you to run efficiently and will result in less injury potential. 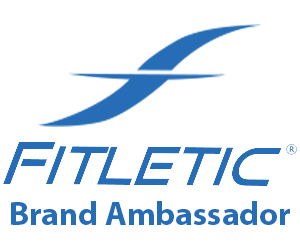 There is one other thing that is intrinsic to all treadmills that I want to bring up and is one more way that they are different that running outside (or indoors on a track :)) and it is the belt. When you run on a treadmill you are “catching” the belt every stride. When you run on a non moving surface you are approaching the ground, meeting it and lifting off. You are “pulling” more on a treadmill because you are meeting the belt and it is pulling you back as you attempt to lift for your next stride. This is where a similarily to race walking comes into play because in race walking you are constantly pulling yourself forward. There is less opportunity to engage your pushing quads because your hamstrings are working as you pull (and are being pulled) back. You are also engaging your shins more than your calves because of the pulling and if they are not strong enough can lead to shin splints (which I have had and damn can they be brutal). Am I saying that you don’t use your quads when running on a treadmill? Of course not but it is a legitimately different movement than running on a non moving surface and it works your muscles in a different way. The treadmill utilizes your hamstrings in a higher proportion than outside running and doesn’t strengthen your entire leg in a way that is most beneficial for when you get out on the road. If your hamstrings feel more sore than normal the next day or two after a hard treadmill workout.. there is a reason. Does this mean that this form of running is useless? No but it doesn’t mimic the action of running outdoors and if one only runs on treadmills one won’t be well prepared to run outdoors. My last issue with treadmill running is probably only specific to some gyms (and doesn’t have much to do with the treadmill) but unfortunately is specific to mine.. it is really hot where the treadmills are and it hammers me quickly. I sweat so intensely and my heart rate gets higher at the same pace as outside because of the heat. I don’t know why they have it so hot in the gym (and the body heat of all of the others around me probably contributes) but it does have a serious impact on my ability to accomplish the workout that I want to accomplish. I suppose for some it could be a way to get heat training in during the winter, but if it was significantly cooler I would probably be able to have better workouts when I have to run on the treadmill. It is looking like I might not have to go to the gym tonight after all because the forecast is saying just cloudy until 11PM when it will start to snow again… I hope they are right! P.S. Have I run barefoot on a treadmill? Yes. It is generally not my preference though. At short distances (4 miles or less) it isn’t bad but (especially if it is a rougher coarser belt) it really is essentially a very large belt sander to the pads of my feet! I have developed my pads to such a degree that it doesn’t do them much harm if done once in a while and for short distances, but if I were to regularly run on treadmills (why would I?) barefoot I think it could have an impact on softening up my pads for barefooting. 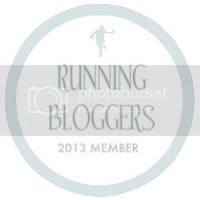 This entry was posted in Running, Running - Training on February 26, 2013 by Chris M.